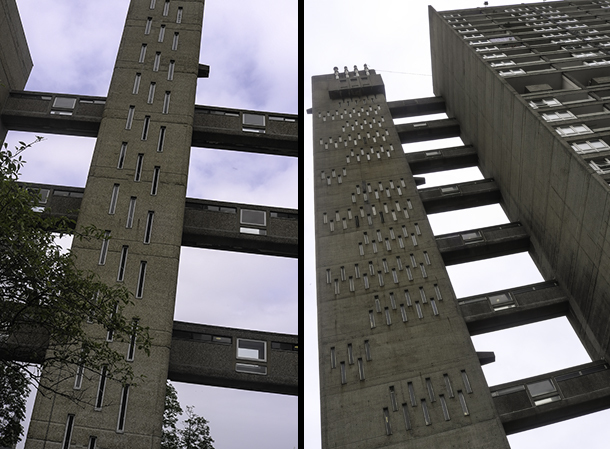 Balfron Tower is one of the two major high-rise social housing projects (Trellick Tower being the other), built in London during the late 60s and early 70s by Hungarian architect Ernö Goldfinger. 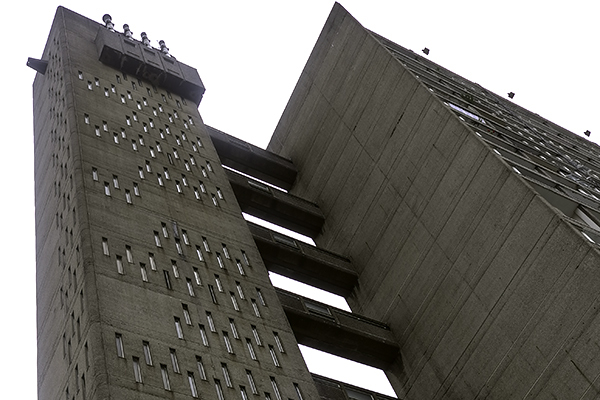 The currently running Balfron Season offers a rare opportunity to visit his brutalist masterpiece before it undergoes a thorough reconstruction. Don’t miss this fascinating, although slightly depressing experience. 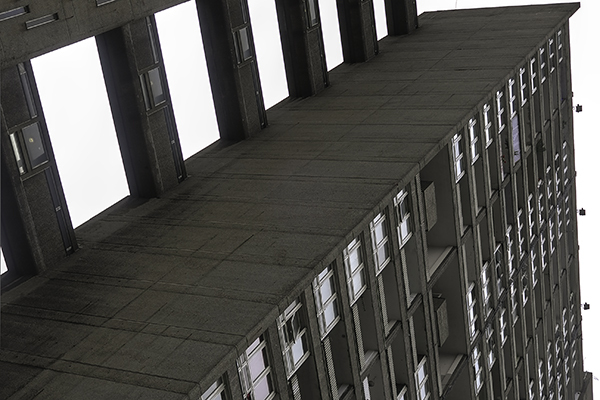 The iconic 27-storey building with with its standalone services tower was designed in 1963 and built in Poplar (north-east part of London) in 1967. 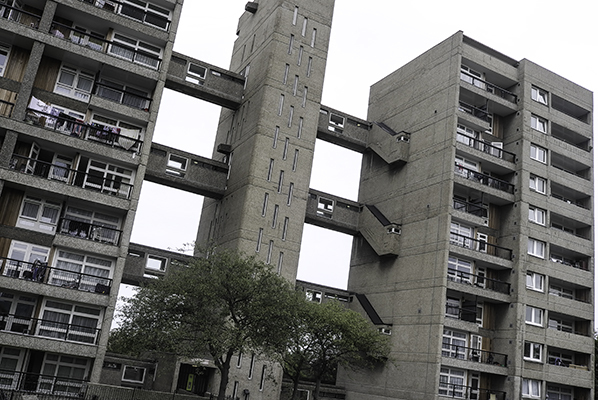 Since then it has served primarily as a council housing, leaving it in a pretty grim condition inside and outside. You’ll find that entering the mostly derelict flats, temporarily serving as improvised artists’ studios, is a bit like visiting the set of Clockwork Orange. But whatever its current cosmetic state, Goldfinger’s concrete skyscraper has lost nothing from its striking presence and bold spirit. Let’s hope that the (hopefully sensitive) planned makeover will make it shine in full glory again! (Btw, we learned that the architect himself lived for two months on the top floor, in Flat 130, in order to experience the building first-hand and to gain understanding of how people felt about his design). 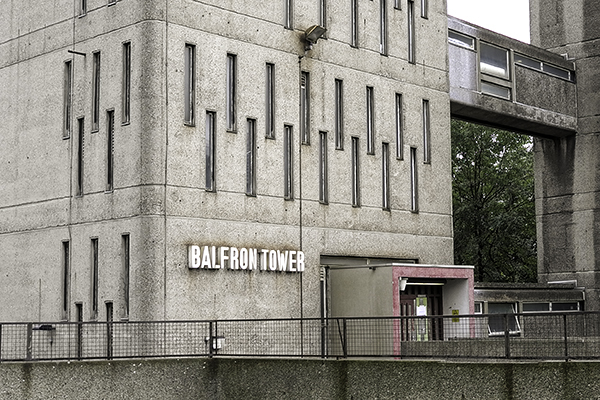 Balfron Season runs until the 12th of October.